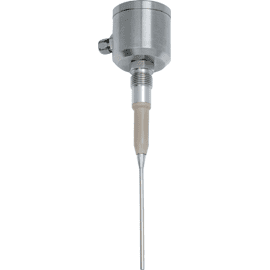 Many applications in the production of liquid and viscous food require exact point level measurement. Examples are the precise detection of a defined fill level to prevent a tank from overflowing, to protect pumps or to control valves. This large variety in application locations also leads to numerous challenges that need to be solved before point levels can be accurately determined. 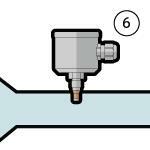 We have put together the 10 most common requirements along with a suitable sensor solution for each one. Sensor is built into the tank from above. Space between the tank cover and the medium. The space is bridged by a rod. 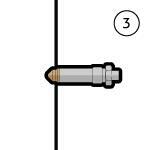 Highly flexible sensor: The length of the sensor tip can be adjusted to the requirements of the user to the nearest millimeter. 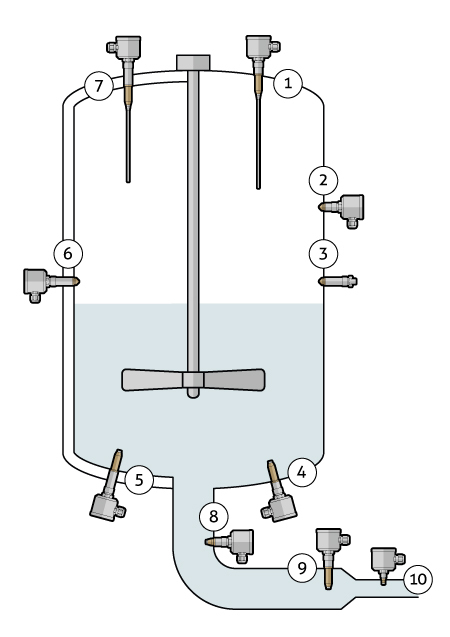 An agitator is built into the tank. 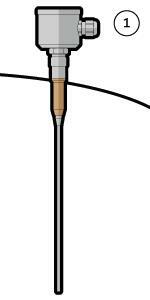 Low submersion depth into the medium because of the compact design of the probe tip. The material prevents the formation of accumulations such as caustic deposits, making the unit very easy to clean. 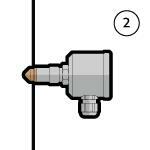 Restricted space for installation of the sensor due to other lines or attachments. Compact Plug & Play sensor. No special settings/medium calibration needed for installation. Sensors that are installed on the sides or in the floor are more likely to develop deposits on the sensor tip in viscous or adhesive media. The sensor must nevertheless switch properly. 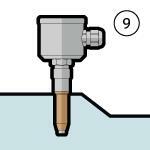 The additional PEEK insulation shifts the sensor tip further toward the middle of the tank, helping to prevent the formation of deposits on the tip. Installation of the sensor in a double-walled tank. 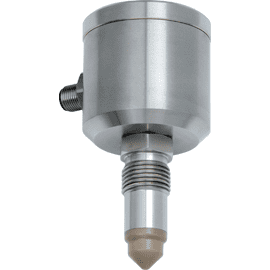 The point level switches from Anderson-Negele can be readily built into doublewalled tanks using weld-in sleeves; please ask us about this technology. 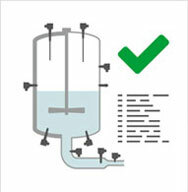 In downpipes below a tank, liquid from the tank may still flow over the sensor tip after draining has finished. A rapid empty indication should nevertheless be ensured. 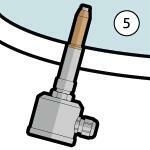 The sensor tip is shifted further toward the middle of the pipe to a position where it cannot be reached by liquid flowing out of the tank after draining. Available in high temperature versions for use at process temperatures up to 140 °C. Rapid response times down to 100 ms for accurate control processes, such as in filling applications. Adjustment of the sensor to the medium requires nothing more than a screwdriver. Neither programming tools nor software skills are necessary. 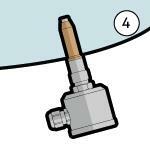 The switching state of the sensor can optionally be viewed from the outside. As a specialist for point level indicators, Anderson-Negele offers a suitable solution for almost any measuring problem with its capacitive NCS series. Please let us know what we can do for you.